I decided to create this fansite to support and show my love for Enrique Iglesias. I’ve been a fan of Enrique Iglesias’ for many years and after supporting him by running several fanpages on popular social networks such as Instagram, I decided that creating a fansite would be a way to show support for Enrique to a larger audience. 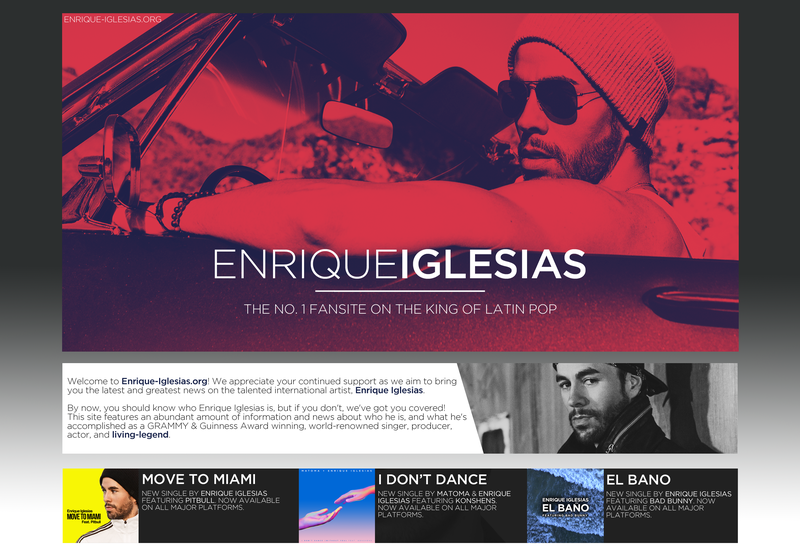 Enrique-Iglesias.org‘s mission is to provide Enrique’s worldwide fans with a place for them to connect, interact and keep updated with all of the latest news, media, and more about the King of Latin Pop. On this website, you will find everything you need to know about Enrique Iglesias including the latest updates about concerts, music, and more. Make sure to follow Enrique-Iglesias.org on Instagram for live-updates, unseen photos, videos and more!